The popular whiteboard app Stickyboard 2 is free today and only for a limited period of time (its regular price is $9,99). Needless to mention that this sale is available at least here in Canada and the States. Stickyboard 2 is an excellent whiteboard app that enables you to easily capture your ideas and record your notes in sticky notes form. 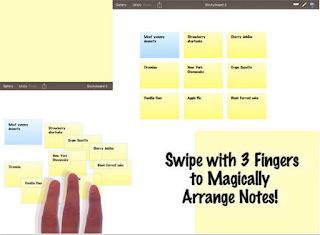 The app provides a bunch of versatile features that make iPad sticky note taking a simple and intuitive process. To start adding notes on Stickyboard 2, you simply double-tap on its interface then start writing, outlining or sketching your notes. You can use different colours and sizes and in case you like drawing, you might want to use the marker tool to draw free form. 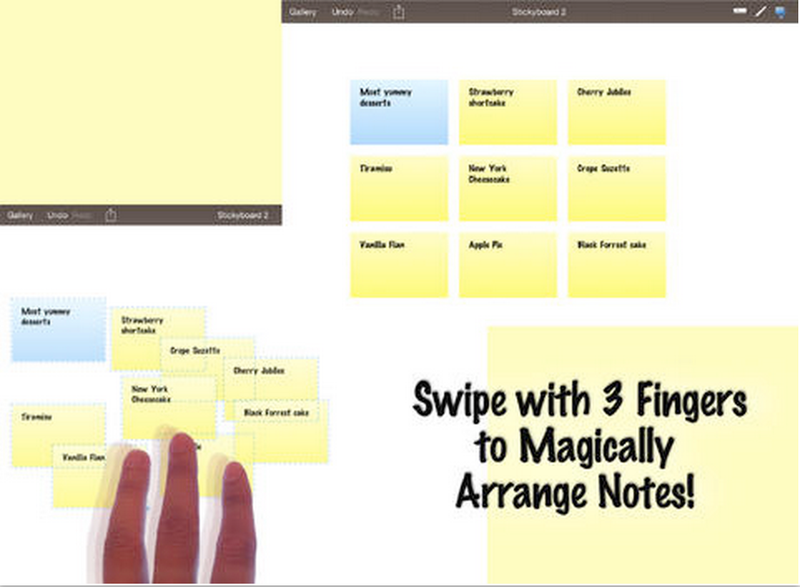 Additionally, Stickyboard 2 offers a very large and zoombale board to record all of your notes. You can zoom by pinching and pan with 2 fingers. You can also select and drag notes around with your fingers. When you finish working on your sticky notes, you have the option to email them as PDF file or as textual content.